As a private banker with over thirty five years experience, I have developed a growing practice providing expert witness services in commercial and lender liability related cases and am qualified as an expert witness on bank lending issues in several state and Federal district courts as well as the US Bankruptcy Court. Independent since 1986, I objectively evaluate lender / borrower disputes, relationships and related documents without risk of conflicts of interest. 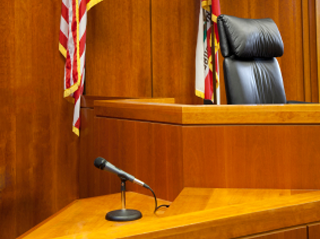 Expert witness services include analysis of key issues, case strategy and deposition and court testimony. Expert witness testimony on commercial banking lending practices facilitates conflict resolution either through settlement or court resolution. Whether the issues are loan commitments and loan defaults, cash management, bank overdrafts, bank credit procedures or bank conduct in the loan administration or loan workout / restructure process, my commercial lending and bank regulatory knowledge as well as expert witness experience will enable settlement with considerable savings to the client. Should you or your legal counsel become involved in litigation of this type, I may be of assistance and would be pleased to speak with you. I may be reached at (410) 261-5080 or email at info@sgreenberg.com.